South Plains College is bound by the Texas Public Information Act, the Family Educational Rights and Privacy Act of 1974 (P.L. 93-380 Education Amendments of 1974), and institutional procedures in determining access to or the release of student records. A student’s permanent educational record normally consists of the following academic information: transcript of courses taken, grades earned, semester grade point average, cumulative grade point average, placement test scores information, TEC 51.907 drops, admission application, academic transcripts submitted, transcript and certificate evaluations, and tuition classification information. The information contained on the permanent student record will be maintained by South Plains College for as long as the college exists. Records are maintained by the institution using a secure electronic information system and a secure content and document management system. General directory information may be updated by completing the appropriate form in the Admissions and Records Office or through the student’s MySPC account. Other than directory information, which may be released to the general public without the written consent of the student, the college will not permit release of educational records without the student’s written consent. This consent must be signed and dated by the student and must indicate which records are to be released, the purpose of the release and the name of the agency to which the records will be released. Generally, the college will grant access to or release of records only to students, since the rights given to parents transfer to the student when the student attends a post-secondary educational institution. Students who wish to grant access to parents/guardians may submit an Authorization to Release Student Information Form to the Admissions and Records Office. The form is available from the Admissions and Records Office or at www.southplainscollege.edu/admissions. Transcripts pertaining to a current or former student will not be released if the student has an outstanding debt. Only educational records originating at South Plains College are issued to students. Documents submitted by or for the student in support of an application for admission or for transfer credit will not be returned to the student nor sent elsewhere on request. For example, a transcript from another college or high school record will not be released to a third institution or given to the student. The right to inspect and review the student’s educational records within 45 days from the day the college receives a request for access. Students should submit to the Registrar, dean, departmental chairperson or other appropriate official, written requests that identify the record(s) they wish to inspect. The college official will make arrangements for access and notify the student of the time and place where the records may be inspected. If the records are not maintained by the college official to whom the request was submitted, that official shall advise the student of the correct official to whom the request should be addressed. The right to request the amendment of the student’s educational records that the student believes are inaccurate or misleading. Students may ask the college to amend a record that is believed to be inaccurate or misleading. The student should write the college official responsible for the record, clearly identify the part of the record to be changed, and specify why it is inaccurate or misleading. If the college decides not to amend the record as requested by the student, the college will notify the student of the decision and advise the student of his or her right to a hearing regarding the request for amendment. Additional information regarding the hearing procedures will be provided to the student when notified of the right to a hearing. The right to consent to disclosures of personally identifiable information contained in the student’s educational record except to the extent that FERPA authorizes disclosure without consent. Exceptions which permits disclosure without consent include disclosure to school officials or individuals with legitimate educational interests. These individuals may include a person employed by South Plains College in an administrative, supervisory, academic or research, or support staff position (including law enforcement unit personnel and health staff); a person or company with whom the college has contracted (such as an attorney, auditor, or collection agent); a person serving on the Board of Regents; or a student serving on an official committee (such as a disciplinary or grievance committee) or assisting another school official in performing his or her tasks. A school official has a legitimate educational interest if the official needs to review an educational record in order to fulfill his or her professional responsibility. Upon request, South Plains College discloses educational records without consent to officials of another school in which a student seeks or intends to enroll. The right to file a complaint with the U.S. Department of Education concerning alleged failures by South Plains College to comply with the requirements of FERPA. The name and address of the office that administers FERPA is: Family Policy Compliance Office, U.S. Department of Education, 600 Independence Ave. SW, Washington, DC 20202-4605. The primary student identification number (SID) at South Plains College is an assigned and computer generated random number. Students are notified of their SID by the Admissions and Records Office at the time of their acceptance to the college. The student’s Social Security Number (SSN) will be collected, recorded, and reported as required by federal and state requirements and other appropriate exceptions as defined and approved by the college. The college will take reasonable precautions to secure and protect the student’s SSN in all cases. 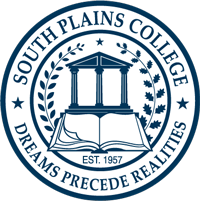 Students are assigned an SPC username and password upon acceptance to South Plains College. The username and password are provided to the students in the letter of acceptance. In most cases, the student’s username is the first initial of their first name followed by the first eleven letters of their last name and the last four digits of their assigned Student Identification Number. The initial password is randomly generated. Students are required to change their password upon initial login. The student’s account is removed twelve (12) months after the student’s last enrollment at SPC. A new account is created if the student reapplies for admission to SPC. Students use their assigned username and password to login to MySPC. MySPC is a one-stop access point to South Plains College resources and services including TexanConnect and student e-mail. MySPC gives students access to important announcements, news and events, college calendars, and a personal planner. Students gain access to MySPC and receive a username and password upon acceptance to South Plains College. There is no charge to students for verifying student identity. All users of the College’s online learning management systems are responsible for maintaining the security of user names and passwords. Access credentials may not be shared or given for any reason to anyone other than the user to whom they were assigned. Users are responsible for any and all uses of their online account. Students are required to read and accept the SPC Technology Acceptable Use Policy upon initial login to MySPC. To login to MySPC, visit https://myspc.southplainscollege.edu. TexanConnect is the online service that South Plains College students use to register for classes, view final grades, view and print class schedules, obtain unofficial transcripts, and check their student business account or financial aid status. TexanConnect is accessed by successfully logging into MySPC at https://myspc.southplainscollege.edu. Some areas of TexanConnect are inaccessible to students whose financial or academic records are not in good standing. All students at South Plains College are assigned a standardized SPC e-mail account. Personal e-mail addresses will continue to be collected; however, the assigned SPC e-mail account will be used as the official channel of communication for South Plains College. The Student Correspondence Policy can be found at www.southplainscollege.edu. A hold is placed on a student’s records, including grades and transcript, when the student fails to resolve financial obligations with the college. A hold will also be placed on the student’s transcript when the student fails to provide required admission documents or transcripts from prior educational institutions. The hold remains in effect until all obligations have been resolved. A South Plains College transcript is a complete record of a student’s enrollment at SPC. An official transcript will not be issued unless all financial and academic obligations to the college have been satisfied. All transcript orders will also be reviewed for administrative holds on records. Current and former students who need a copy of their SPC educational record may request an official transcript through the college’s online, secure transcript service with Credential Solutions at www.credentials-inc.com/tplus/?ALUMTRO003611. The fee for an official transcript is $5.00 each. This service will allow students to submit transcript requests anytime, day or night, and will allow for multiple delivery options. The system will authorize and process your credit/debit card payment and facilitate the authorization to release student records as required by law. Email or text (SMS) communication is provided while your order is being processed and you will be able to track the status of your order online. The standard processing time is 72 hours or less. Official transcripts cannot be faxed. They may only be mailed or picked up by the student at the Levelland campus or Reese Center during regular office hours. For students in their first semester at SPC, an official transcript will not be available until grades for that semester are posted to the student’s academic record. Unofficial transcripts are available to currently enrolled students and can be accessed through MySPC. To print a copy of the unofficial transcript, current students may login to MySPC at www.myspc.southplainscollege.edu and select the “CampusConnect” tab. Under registration options, select “Academic Transcript.” Currently enrolled students may also request official transcripts through the CampusConnect tab. For more information, contact the Admissions and Records Office at (806) 716-2570.